CAREFREE TOWNHOME LIVING!! NEWER TOWNHOME...BUILT IN 2014!! BEAUTIFUL 3 BEDRMS., 2.5 BATHS, 2 CAR GARAGE!! LOADED W/UPGRADES! GORGEOUS PLANK HARDWOOD FLOORING IN GREAT ROOM AND DINING RM. 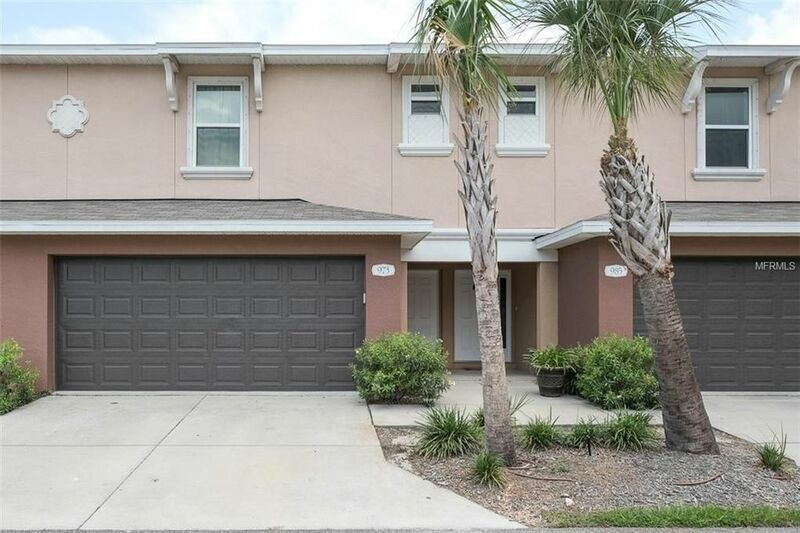 AREAS, BEAUTIFUL RAISED PANEL CABINETRY W/CROWN MOLDING, GRANITE COUNTERS, STAINLESS APPLIANCES, 18 TILED FLOORING IN KITCHEN AND BATHROOMS! FRIZAE CARPET IN 2ND FLOOR BEDROOMS! VAULTED CEILING, 2ND FLOOR LAUNDRY CLOSET, WALK-IN CLOSETS...GREAT CLOSET SPACE! OPEN DECK IN REAR! GREAT NORTH PINELLAS LOCATION AND MINUTES TO WORLD FAMOUS SPONGE DOCKS IN DOWNTOWN TARPON SPRINGS AND GORGEOUS GULF BEACHES AT HOWARD PARK AND SUNSET BEACH!!! PRICED TO SELL QUICKLY!!! BETTER HURRY!!! Directions: US 19 N., PAST TARPON AVE., LEFT ON BRITTANY PARK BLVD. AND IMMEDIATELY RIGHT INTO THE DEVELOPMENT.